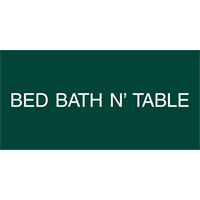 Bed Bath N’ Table is Austraila’s most-loved homewares retailer since 1960. With over 150 stores in every corner of Australia and Online, we have continuously grown to become a full home lifestyle destination for our customers. Our online presence offers a complete range of beautiful products, along with key destinations to help customers feel inspired to shop: Lookbooks, Instagram, and Pinterest where they can find beautiful lifestyle looks and trends. For nearly forty years, Bed Bath N' Table has developed the latest international trends and established many of our own with our house Design and Development Teams. Most of the products in our stores are exclusive to Bed Bath N' Table and you won't find them anywhere else. We have every area of the home covered, sourcing high-quality furnishings and decorator accessories, as well as entertaining and outdoor lifestyle products.